There’s no celebrity divorce down the road for Julie Bowen and her husband! What are some ways to use humor to strengthen your relationship? The winner of the cozy couple award goes to celebrity couple Ariel Winter and her celebrity love, Laurent Claude Gaudette! When the Emmys ended, the celebrity couple got cozy at the after-party, according to People.com. Prior to the party, the two shared their celebrity love on the red carpet by exchanging a couple of kisses with one another. Things are looking incredibly sweet for these two! This celebrity couple went public in a big way! How do you know if your relationship is ready for the next step? …Click here to find out if your relationship is ready! Modern Family star, Julie Bowen, recently opened up to CelebrityBabyScoop.com about her advocacy for a special cause known as anaphylaxis, which is a deadly type of allergic reaction. Bowen talked about her son’s frightening experience when he had a scary “life threatening allergic reaction to peanut butter.” The actress also chatted about the joys of being a mother to three rambunctious boys: 6-year-old Oliver and 4-year-old twins, John and Gus. …Don’t miss the rest of Julie’s interview! Click here for more. Sofia Vergara and Nick Loeb seemed to have the perfect relationship. But, underneath their success and PDA, it turns out the couple were on completely different wavelengths. While Vergara’s focus was on her entertainment career, his was more concentrated on politics. As an insider told People, “It was never a good match. She is fiery and free-spirited and wants to enjoy life to the fullest by traveling and going to parties and events. He’s very concerned with his businesses, political aspirations and ultimately settling down.” Though the couple are said to have broken up and gotten back together many times, the Modern Family star also has a history of sticking by her man both after a serious car accident and during Loeb’s run for the Florida U.S. Senate. What are some signs that it’s time to call it quits? This post is sponsored by Pressman Toy Corporation. 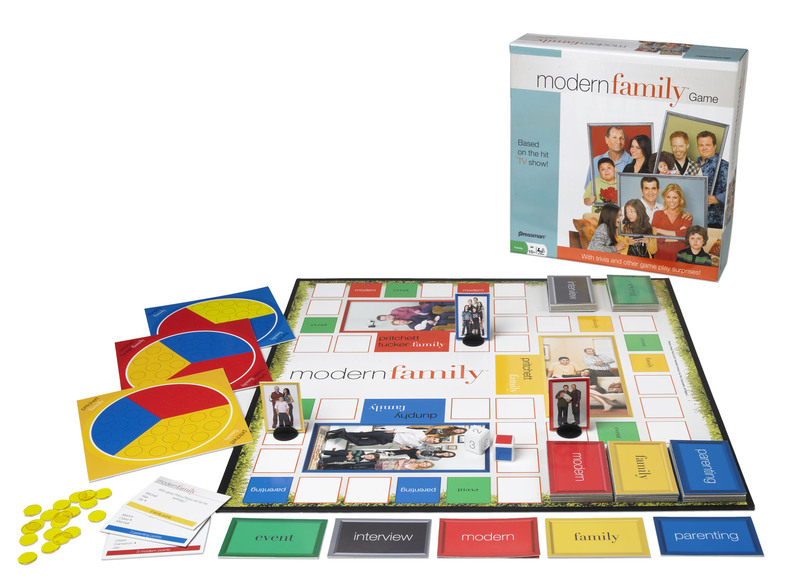 The American family has seen a dramatic shift in dynamic over the last decade and nowhere is this better captured then with the razor-sharp comical edge of ABC’s ‘Modern Family.’ This year the sitcom has been nominated again for a Golden Globe Award in the best television series – Comedy or Musical. After an exciting night at the Emmys, Modern Family star Sofia Vergara had every reason to celebrate. Her show won three awards including Outstanding Comedy Series, and her family flew all the way from Colombia to be with her on her special night. But for Vergara, the night was incomplete without her leading man, Nick Loeb, a businessman and former Florida Senate candidate. Access Hollywood reports that Loeb has been hospitalized since last week after he was involved in a serious car accident. “He’s not going to be good to go for a long time, but I miss him,” said Vergara.What should you do if your partner is sick?